Nuno Rodrigo Martins Portas, a reputed architect, lecturer and town planner, was born in S. Bartolomeu, Vila Viçosa, on 23 September 1934. He is the son of Leopoldo Barreiro Portas and Umbelina do Carmo das Neves Martins. He studied Architecture at the Lisbon School of Fine Arts and at the Porto School of Fine Arts, where he completed his degree in 1959. Two years before, he had started working at the workshop of architect Nuno Teotónio Pereira, where he remained until 1974. In 1958, he joined the magazine "Arquitectura", which he directed and for which he wrote several texts awarded by the Gulbenkian Art Critique, in 1963. Between the 60's and the 70's, he was a researcher at the National Laboratory for Civil Engineering (1962-1974), where he coordinated the Research Unit for Architecture, Housing and Town Planning. As a teacher, he taught Project at the Lisbon School of Fine Arts (1965-1971) and, in 1983, he transferred to the Architecture course at the Porto School of Fine Arts, and helped to found the Faculty of Architecture of the University of Porto. At this Faculty, he became a Full Professor from 1989. At present, he is an Emeritus Professor. Throughout his teaching career, he chaired the Academic Board, set up a Study Centre and launched a Masters Course in Project and Planning in Urban Environments. He was a guest Professor at the Technical High School of Architecture in Barcelona, at the Town Planning Institute in Paris, at the University of Paris VIII, at the Polytechnic Institute of Milan, the University of Ferrara and the Federal University of Rio de Janeiro. He is a member of the Academic Consulting Board of the Department of Architecture of the University of Minho. In 1974, he assumed the position as Secretary of State for Housing and Town Planning, a post he held through the first three Interim Governments. He promoted the creation of housing cooperatives and of local support offices (GAT), created the Local Outpatient Support Services (SAAL) and started the processes leading to the adoption of the Municipal Master Plans. Later, in 1990, he became a Councillor in the Department of Town Planning, in the Vila Nova de Gaia City Hall. As an architect, he collaborated with Pedro Botelho, Pedro Vieira de Almeida, A. Pinto de Freitas, Bartolomeu Cabral, M. Aragão, Camilo Cortesão, José Luís Gomes, Mercês Vieira and Nuno Teotónio Pereira. Since the end of the 70s, alongside his activities as a teacher, politician and architect, Nuno Portas has dedicated his time to Town Planning, in both Portugal and abroad. In Portugal, he worked as consultant for the municipal town plans in Vale do Ave, as director of the university campus project in Aveiro, he was responsible for the first General Plan of the Expo 98 and for the terms of reference [requirements] for the design and construction tender of the Chelas area, in Lisbon, and as a consultant in the town planning project of the historical centre of Guimarães council. His work abroad consisted in the coordination of the Intermunicipal Plan of Madrid (1980-1983). He worked as a consultant for the Strategic Metropolitan Plan of Barcelona (1991-1992) and the Town Plan of Santiago de Compostela; he was a consultant for the United Nations and the European Union on town planning and research matters. Together with Oriol Bohigas, he prepared the Sea Front Plans and the Barcas Station (1997-2000), and the Recovery Plan of the Central Area (1995-2000) in Rio de Janeiro. He also participated in the elaboration of urban legislation in Cabo Verde. Nuno Portas has published many works on the Theory of Architecture, Critical History of Contemporary Architecture and Town Planning, and articles in periodical publications related to the cinema and film critics, some activities in which he is also involved. 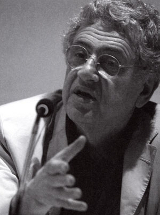 He was recently honoured with the title of Doctor Honoris Causa by the University of Aveiro and by the Polytechnic Institute of Milan; he also received the Grand-Cross of the Order of Infante D. Henrique and the Sir Patrick Abercrombie Town Planning Prize from the International Architects Union. Nuno Portas is the father of three notable individualities: politicians Paulo and Miguel Portas, from his first marriage to Helena Aires Trindade de Sacadura Cabral, and the journalist/businesswoman Catarina Portas, from his second marriage to Margarida Sousa Lobo.